Blackburn with Darwen residents and organisations have been spreading the festive cheer by donating gifts and for local children and young people this Christmas. 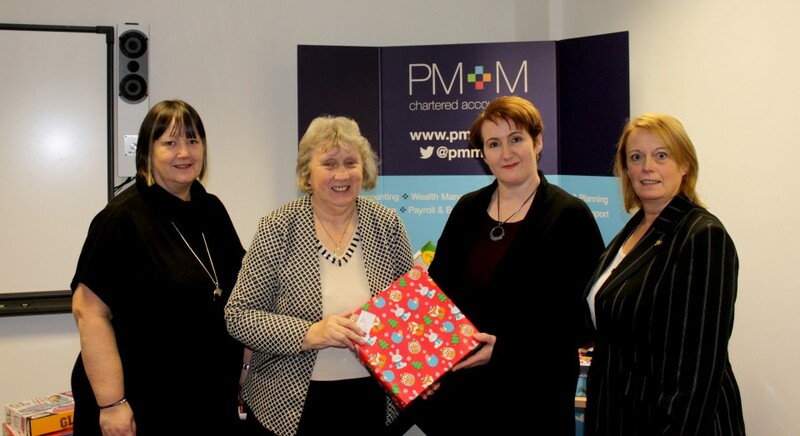 Local firm PM+M Chartered Accountants in Blackburn have been asking staff, clients and friends for the sixth year running to consider donating a Christmas present for local children and young people in need. A number of other organisations have also been donating including: Rock FM, Blackburn College, local churches, The Mall, Livesey Lunch Group, staff at Duke Street, Indigo, the local community and business partners. All gifts have been sent to Blackburn with Darwen Council’s Children’s Services for the team to give out to those who are struggling. Children’s Services and staff from PMM Chartered Accountants gathered together on Friday to give out the gifts to families. Jane Parry, Managing Parter at PM+M said: “For the past six years we have seen people come together and help us donate hundreds of gifts for local struggling families.